"Death Record - Charmain M. Wagner"
Cause of death: Cardio Vascular and Coronary Arturo. Death location: C.M.H. Health Care Center, 1218 West Locust, Bolivar, Polk County, Missouri. Burial location: Greenwood Cemetery, Bolivar, Polk County, Missouri. 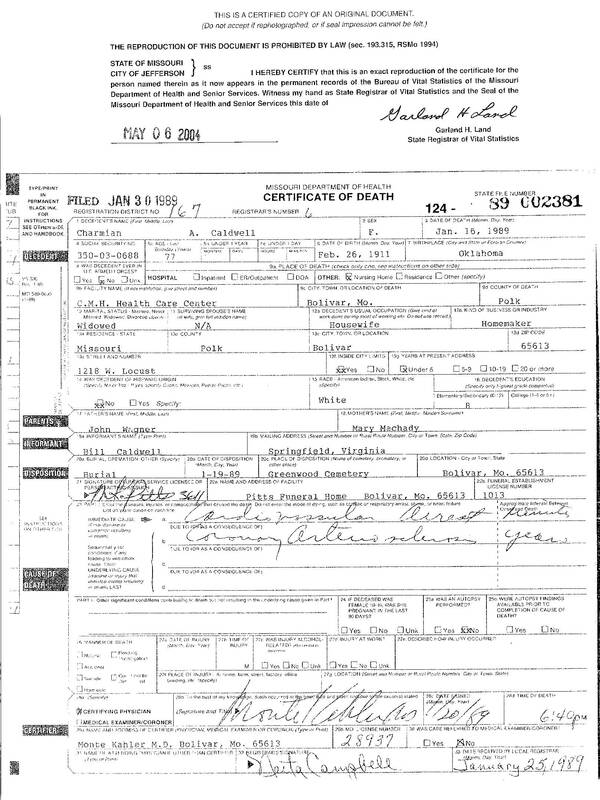 Note: Her middle initial is M., not A, as listed on the death certificate.